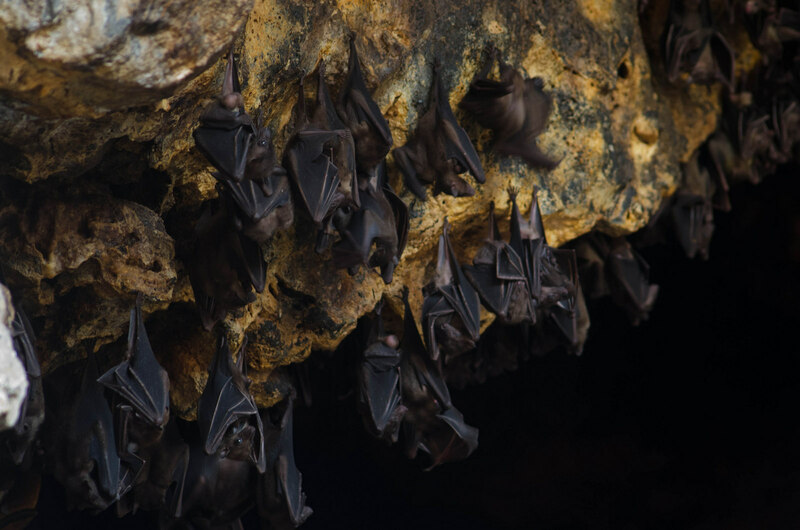 A quick online search of “bats Bali” revealed a point of interest for me: Pura Goa Lawah, which means “Bat Cave Temple.” I eagerly added that to my itinerary, wondering how it would measure up against all the other temples on the list. Out of everything on my list, I was most looking forward to Bat Cave Temple, and it was with this excitement that I arrived there one sunny weekday morning, accompanied by my travel buddies Molly and Josh. 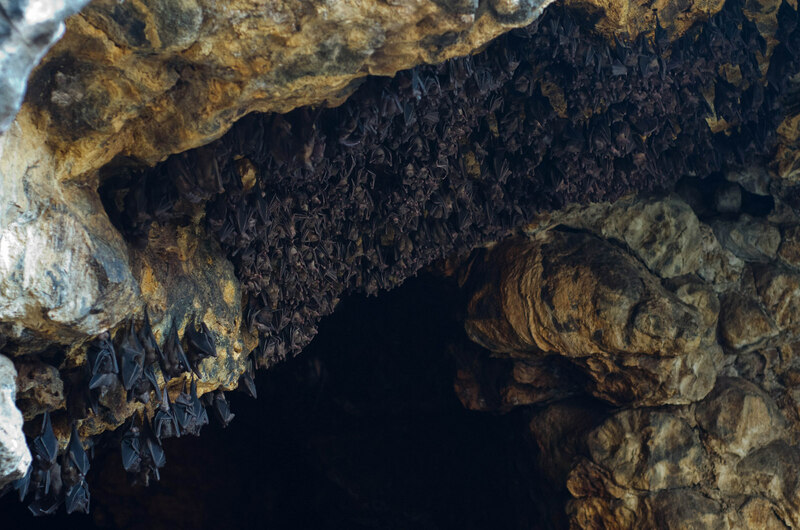 More than a thousand years ago, this Hindu temple was built at the entrance to a bat-filled cave. 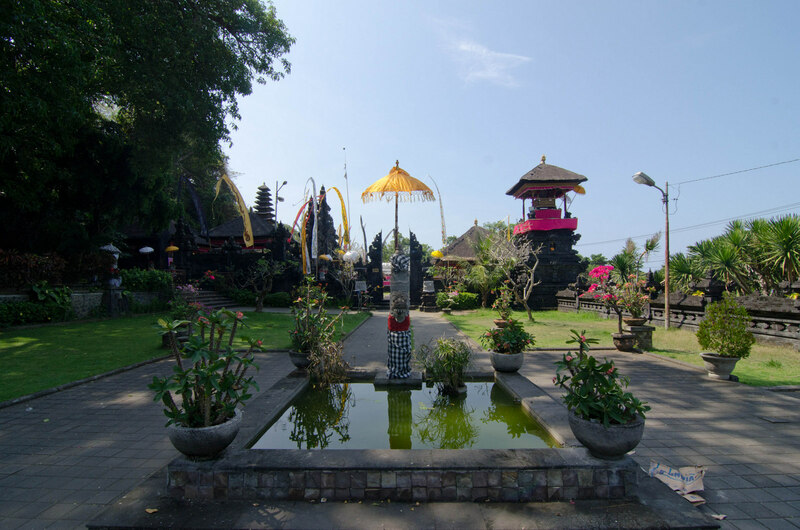 It is one of Bali’s nine directional temples, which means that it shares the responsibility of protecting the island from evil spirits with eight other auspiciously-located temples. The temple itself is nice, but I felt that nothing distinguished it from the rest of the temples on the island. Other than the bats, of course. In my opinion, this alone was a good enough reason for our visit. Molly, Josh, and I were dropped off at the entrance and paid the small fee to enter the temple grounds. A quick wander through the temple, and I was ready to see some bats. I was so nervous that there wouldn’t be any bats after all, or that maybe we’d only see one or two bats. But as I walked toward the cave, bracing myself for disappointment, I was greeted by a smell and sound that ensured me I’d be seeing plenty of my favorite flying mammals. I first noticed a shrine at the mouth of the cave, and upon getting closer, I SAW THEM! Thousands of bats resting on the ceiling! Some appeared to be sleeping, but I don’t know if any of them managed it over the loud high-pitched squeaks that filled the cave from those who were awake. My close friends know that I LOVE bats. One of my favorite parts of the day is walking home at night as the bats swoop all around me, and I sometimes get weepy when I think too much about bats. (THEY JUST LOVE TO CUDDLE SO MUCH!) Basically, I am the crazy bat lady. So though this temple was spiritual for me, it was entirely because of these beauties. 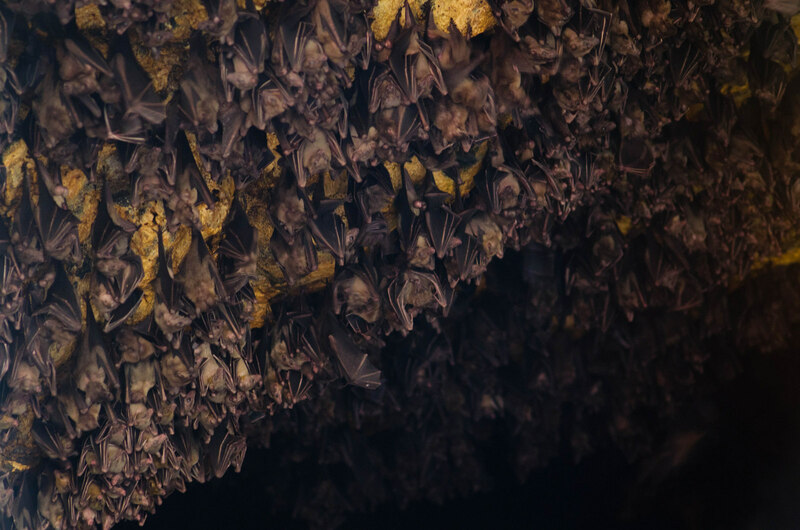 Visitors aren’t allowed to enter the cave, but standing near the mouth gets you close enough to see the hundreds of bats who were resting at the front of the cave. For almost twenty minutes, I just stared, completely in awe that I was so close to so many of these adorably perfect creatures. Unfortunately for the bats, legend has it that a giant snake has lived inside this cave for thousands of years and preys upon the bats. Supposedly, this cave leads all the way to another directional temple 30 kilometers away, but nobody dares confirm that claim for fear of becoming the snake’s next meal. However, this colony of bats seemed pretty content, and I’d like to believe that they’re all living a snake-free happily-ever-after. *All photos in the post were taken by Josh, who can be found on Instagram at @usbgoblin. What do you think of bats? Am I the only one who finds them impossibly adorable? Hi Elizabeth. I know the your post about Pura Goa Lawah is a couple of years old, but I came across it while looking for information on this temple. I missed it last time I was in Bali but am going back in September and am DETERMINED to get there this time. I am a bat carer in Australian (both insectivorous bats and our bigger flying foxes) and ADORE these creatures. Just wanted to let you know that I also find them impossibly adorable and anybody who doesn’t bother to “get to know” them is missing out on something truly amazing. Cheers, Denise, Coffs Harbour, NSW, Aus. Hi Denise! Glad my post could be of help, and I’m happy to hear from somebody else who appreciates these darling creatures!